Alison Duffy is a Michigan Lawyers Weekly "Up & Coming Lawyer"
Alison Duffy is receiving a special legal award as a 2014 Michigan Lawyers Weekly “Up & Coming Lawyer” today. The recognition is for “legal practitioners who are establishing a name for themselves, go above and beyond, and display the ambition, drive, determination and accomplishments that set them apart among their peers — in their first 10 years in practice,” according to the state’s largest legal newspaper. Of course, I could not agree more. Alison, like all the attorneys here at Michigan Auto Law, primarily helps people injured in auto accidents. But it’s the way she helps her clients that really sets Alison apart. Alison is a fighter who believes in her clients, and she has enjoyed more notable courtroom successes at this stage in her legal career than most attorneys will ever see in a lifetime. What many people do not know is that a big part of her courtroom success comes from an unexpected and interesting place. Alison is a resident cast member of Go Comedy, a Ferndale-based improvisational and sketch comedy theater. While performing improv weekly is fun, it also helps Alison excel in her work as a trial attorney. She says it’s helped teach her to think on her feet, build confidence, better communicate with juries, connect with people, and react quickly to the changing tempos of a trial. These skills show in Alison’s trial and settlement results for her clients. She has tried a number of plaintiff personal injury cases in both state and federal court. And in doing so, she’s achieved substantial success on behalf of auto accident victims in need. 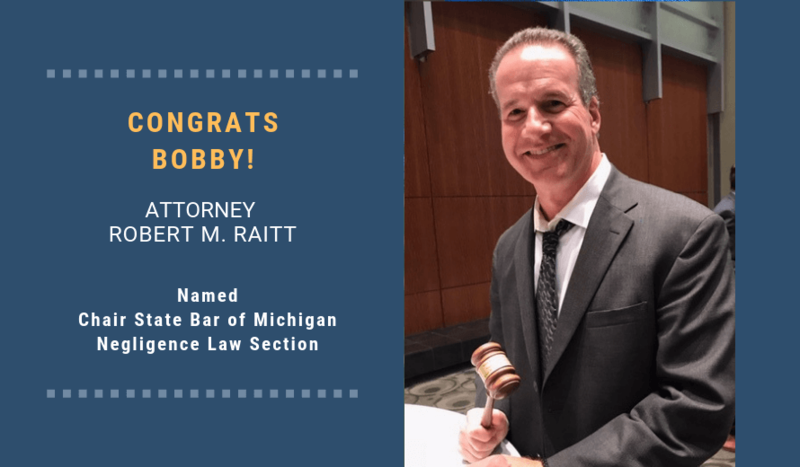 For instance, Alison already has a million-dollar award under her belt that she and Michigan Auto Law attorney Bobby Raitt tried to verdict in Shelton v. Royal Container Inc. In the third-party auto negligence lawsuit filed in Macomb County Circuit Court, plaintiff Shaun Shelton sought compensatory damages after a truck driver failed to yield to traffic, turned in front of Mr. Shelton and hit him. The defense contended Mr. Shelton should have seen the truck turning and, therefore, wasn’t paying attention. As well, it was asserted his shoulder and lower back injuries were exaggerated and he wasn’t permanently disabled. Yet Alison prevailed in her assertion that negligence was clear in that the defendant failed to yield to the right of way. Also, with no pre-existing conditions, the back and neck injuries were related to the truck accident, and permanently disabled her client. Last year, Alison received another impressive trial verdict in a complicated car accident case against the Michigan State Police, after a state trooper t-boned her client in an intersection, causing neck and back injuries. Alison was able to navigate and succeed on the governmental immunity issue in the case and received another impressive trial verdict in favor of her client, a young mother of four. Alison has also received many significant case evaluation and arbitration awards. She started here at Michigan Auto Law as a law clerk, and she is a superb writer and legal researcher. These skills are put to good use now as an attorney, where she has overcome many tough and complicated legal issues, such as the governmental immunity issue in the trial above. She is an extremely savvy, hard working attorney. She has an active motion practice where she’s been successful in gaining justice for her clients. And Alison is aggressively developing her trial skills through legal seminars around the country, and has already assumed leadership roles in the legal community. When she isn’t fighting for her clients, Alison makes civic involvement a priority, including organizing the annual Forgotten Harvest Volunteer Day at Michigan Auto Law. She is also active in the legal community, and is a member of the Michigan Association for Justice. Alison is a member of the National Association of Women Lawyers, where she attends legal seminars and offers experience-based feedback to the organization focused on promoting women’s success in the legal field. Alison is a Michigan Super Lawyer – Rising Star. This peer-rated honor is for attorneys who are 40 years old or younger, or who have been practicing for 10 years or less. She is also a “Top 40 under 40,” an honor given to outstanding trial lawyers in the country under age 40 by the National Trial Lawyers Association. Michigan Lawyers Weekly has also named Michigan Auto Law trial attorney Thomas James a 2012 Up & Coming Lawyer.